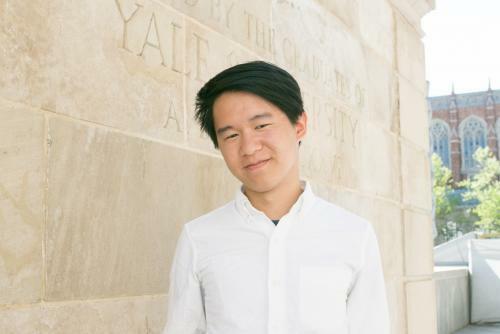 Alexander Zhang is the 2018 winner of the Lisa MacFarlane Prize awarded to the “best paper or project written and developed by an undergraduate located in New England on any subject related to American studies” for his paper titled, “The First Law of Yellow: How Color Came to Define Citizenship in the Wake of Reconstruction” that was based on his year-long senior essay for American Studies. Alex’s essay, “The Color Line Is Yellow: American Racial Thinking from Reconstruction to the Great War,” is an original work of cultural and legal history that sheds light on the formation of “yellow” as a racial, social, and legal category in the nineteenth and early twentieth centuries. Alex’s essay won the Norman Homes Pearson Prize for the best senior essay in the American studies program and the university-wide John Addison Porter Prize for outstanding original essay written by a Yale student. Alex graduated this spring with “exceptional distinction” and earned his B.A. and M.A. In American Studies simultaneously during his four years at Yale. Alex was also selected as a Class Day speaker at Yale’s 317th Commencement this spring. Warm congratulations to an outstanding student!